Celebrate springtime this Easter weekend in Niagara Falls! The city offers family friendly activities throughout April to help you whisk winter away and welcome the warmer weather, so put away your parkas and prepare to have some fun. 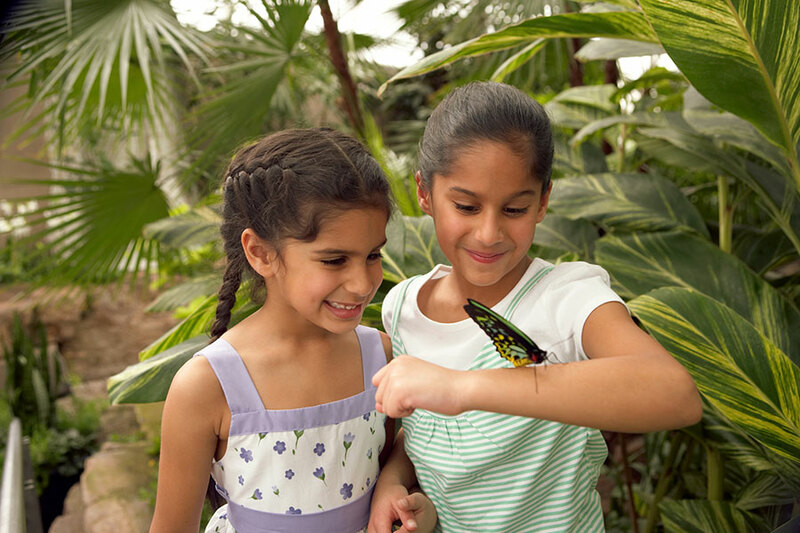 Music, magic, fresh flowers, egg hunts, and time spend viewing Niagara Falls are just some of the things you can experience on your weekend getaway. Enjoy the exquisite indoor garden of the Floral Showhouse with their annual Spring Display, which runs until April 29th. Full of bright colours, and stunning arrangements, the Floral Showhouse provides an atmosphere of peace, calm, and beauty. It’s also a great place to capture photos and selfies with picture-perfect floral backdrops. Open daily from 9:30am until 5:00pm. Admission costs $7 for adults 13 or older, $4 for children 6 to 12, and FREE for children 5 & under. You could get your friends & family regular, store-bought treats & chocolate, or you can surprise them with what they really want: FUDGE! With a selection of 20 varieties of hand-made fudge & various chocolate treats, the Fantasy Fudge Factory has a flavour for every taste bud. Customize a container for all your favourite people & be everyone’s favourite person. Of course, you’ll have to try a few samples along the way. Located on Clifton Hill, the store is full of other fun treat & gift ideas, so you’re sure to find something for everyone on your list. Looking for an Easter Eggs Hunt? On April 19th, the Stamford Volunteer Fireman’s Association is holding their annual egg hunt in Fireman’s Park. The event runs form 10 am until 3 pm, with the hunt commencing at 11 am. Other such fun activities include a bouncy castle, face painting, games, pony rides, and even a visit from the Easter Bunny! Bring a non-perishable food donation or pay $3 admission per child, with an additional charge for the Fun Zone. Adults can enjoy free Starbucks coffee during the hunt! For more adult fun, be sure to check upcoming concerts at the Fallsview Casino, including award-winning performers Legends in Concert with their tributes to Sting, David Bowie, Aretha Franklin, Bob Marley and Johnny Cash. The Niagara Falls 420 Expo lands on Easter weekend at the Scotiabank Convention Centre. Happening April 20th from 10 am to 6 pm, the expo will celebrate all things cannabis. Admission is $15. Want to see it all in a short amount of time? Take a ride up 775 feet into the sky in one of the Skylon Tower’s signature Yellow Bug Elevators to the Observation Deck where you will witness a birds-eye-view of the beautiful Niagara Falls & Parkway, as well as the surrounding area. Elevator rides & access to the Observation Deck are free when you reserve a table at either the Revolving Dining Room or Summit Suite Buffet, where you can enjoy that same view while you dine. In honour of Easter Sunday, the Skylon Tower will be illuminated in gold from 6 pm to 11 pm. For more ideas and information, visit our Events Page and fill your getaway to Niagara Falls with fun & memories. Wishing everyone a Happy Easter & wonderful long weekend in Niagara Falls.